Kevin P. Hand: "On the Coming Age of Ocean Exploration" What makes ocean worlds like Jupiter's moon Europa compelling places for astrobiology? Despite considerable evidence to the contrary, Earth was not a particularly good place for life to arise. The main ingredients for life as we know it are a lot easier to find farther out in the Solar System. KEVIN P. HAND, a planetary scientist and astrobiologist at the Jet Propulsion Laboratory in Pasadena, California, received a BA in physics from Dartmouth College (1998), a master's in mechanical engineering from Stanford University (2002), and a PhD in geological and environmental sciences from Stanford (2007). His research focuses on the origin, evolution, and distribution of life in the solar system and involves both numerical modeling and experiments on the physics and chemistry of icy moons in the outer system, with an emphasis on Jupiter's Europa. Felix Warneken: "Children's Helping Hands" Several novel empirical findings suggest that human altruism has deeper roots than previously thought. FELIX WARNEKEN received his PhD from the University of Leipzig while working at the Max Planck Institute for Evolutionary Anthropology. He is an assistant professor of psychology at Harvard University, where he heads the Social Cognitive Development Group in the university's Laboratory for Developmental Studies. 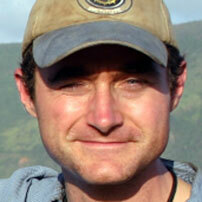 His research focuses on the origins of cooperation in humans and chimpanzees. William McEwan: "Molecular Cut and Paste" A combination of cheap DNA synthesis, freely accessible databases, and our ever-expanding knowledge of protein science is conspiring to permit a revolution in creating powerful molecular tools. 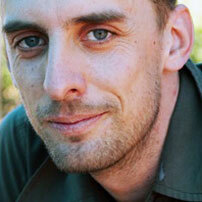 WILLIAM MCEWAN is a virologist working on intracellular immunity to viruses. His research focuses on specifi c mechanisms in mammalian cells that actively overcome viral infection. He graduated with a BSc in genetics from University College London in 2005 and did a master's degree and PhD at the University of Glasgow, researching immunity to lentiviruses in cats and lions. He is currently a postdoctoral researcher at the MRC Laboratory of Molecular Biology, Cambridge, U.K., where he continues to probe the biology of antiviral immunity. CLICK HERE for the Edge first serialization of "Molecular Cut and Paste"
Anthony Aguirre: "Next Step Infinity" Infinity can violate our human intuition, which is based on fi nite systems, and create perplexing philosophical problems. ANTHONY AGUIRRE holds a BS (1995) in mathematics and physics from Brown University and a PhD (2000) in astronomy from Harvard University. He is an associate professor of physics at the University of California, Santa Cruz, where he studies a variety of topics in theoretical cosmology, including the early universe and infl ation, gravity physics, first stars, the intergalactic medium, galaxy formation, and black holes. CLICK HERE for the Edge first serialization of "Next Step infinity"
Daniela Kaufer and Darlene Francis: "Nurture, Nature, and the Stress That Is Life" Why is it that when faced with the same challenges, some of us crumble, some of us survive, and some of us even thrive? DANIELA KAUFER AND DARLENE FRANCIS. Daniela Kaufer is an assistant professor in the Department of Integrative Biology at the University of California, Berkeley. She also holds appointments in the Stem Cell Center and the Neuroscience Institute. Her research focuses on the molecular events that underlie the plasticity of the brain in the face of stress and neurological insults, bridging the gap between physiological effects and the molecular and cellular events that underlie them, and has identified novel mechanisms through which stress affects the brain. Darlene Francis an assistant professor in UC Berkeley's School of Public Health— Division of Community Health and Human Development. 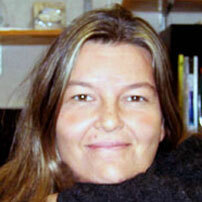 She also holds appointments in the Psychology Department and the Neuroscience Institute. Her transdisciplinary research is concerned with exploring how social experiences become biologically embedded to influence health and well-being. The study of stress is at the core of her research program. 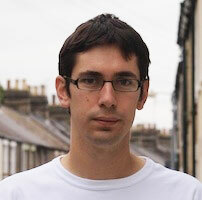 Jon Kleinberg: "What Can Huge Data Sets Teach Us About Society and Ourselves?" Vast digital trails of social interaction allow us to begin investigating questions that have been the subject of theoretical inquiry and small-scale analysis for a century or more. JON KLEINBERG is a professor of computer science at Cornell University. His research focuses on issues at the interface of networks and information, with an emphasis on the social and information networks that underpin the Web and other online media. His work has been supported an NSF Career Award, an ONR Young Investigator Award, a MacArthur Foundation Fellowship, a Packard Foundation Fellowship, a Sloan Foundation Fellowship, and grants from Google, Yahoo!, and the NSF. He is a member of the National Academy of Engineering and the American Academy of Arts and Sciences. Coren Apicella: "On the Universality of Attractiveness" My quest to understand the natural origins of attractiveness preferences led me to the African savanna near Lake Eyasi in Tanzania. 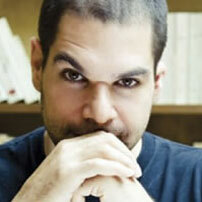 COREN APICELLA earned an MS in evolutionary psychology at the University of Liverpool in 2001 and a PhD in biological anthropology at Harvard University in 2009. 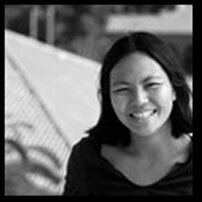 She is now a postdoctoral research fellow at Harvard Medical School in the Department of Health Care Policy. 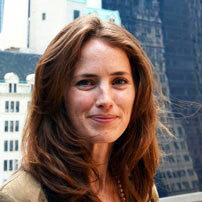 She has published in the fields of evolutionary psychology, behavioral economics, and behavioral genetics. 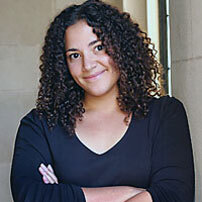 Her work has been featured in media outlets worldwide, including CNN, Nightline, BBC, and The New York Times. Laurie R. Santos: "To Err Is Primate" Why do house sellers, professional golfers, experienced investors, and the rest of us succumb to strategies that make us systematically go wrong? LAURIE R. SANTOS is an associate professor of psychology at Yale University and the director of its Comparative Cognition Laboratory. 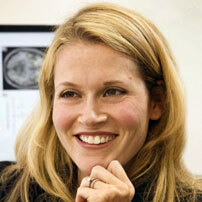 She received her BA (1997) in psychology and biology and her PhD (2003) in psychology from Harvard University. She has investigated a number of topics in comparative cognition, including the evolutionary origins of irrational decision making and prosocial behavior. She is the recipient of Harvard's Goethals Award for Teaching Excellence, Yale's Greer Memorial Prize for Outstanding Junior Faculty, and the Stanton Prize from the Society for Philosophy and Psychology for outstanding contributions to interdisciplinary research. CLICK HERE for the Edge first serialization of "To Err Is Primate"
Samuel M. McLure: "Our Brains Know Why We Do What We Do" The goal of the new field of decision neuroscience is a greatly improved understanding of the variability that dominates our moment-to-moment decision-making behavior. 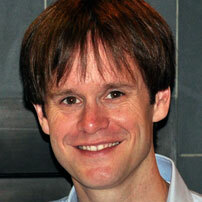 SAMUEL M. MCCLURE received his PhD in neuroscience from Baylor College of Medicine in 2003. After a postdoctoral stint at Princeton University, he joined the psychology faculty at Stanford University as an assistant professor in 2007. 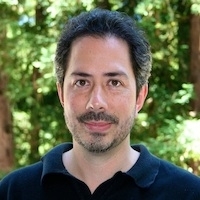 McClure's work has combined behavioral, computational, and neuroimaging methods to investigate the neural basis of reward processing and decision making. More recently, he has focused on the neural mechanisms of delay discounting— the processes by which we evaluate goods available in the future. JENNIFER JACQUET graduated with a master's degree in environmental economics from Cornell University in 2004 and earned a PhD in 2009 from the University of British Columbia, where she now holds a postdoctoral fellowship. As part of the Sea Around Us Project, a joint collaboration between the university and the Pew Charitable Trusts, she researches market-based conservation initiatives related to seafood and other natural resources. With colleagues from the Max Planck Institute for Evolutionary Biology and UBC's Mathematics Department, she is currently conducting a series of games and experiments to study the effects of honor and shame on cooperation. CLICK HERE for the Edge first serialization of "Is Shame Necessary?" Kirsten Bomblies: "Plant Immunity in a Changing World" To what degree plant populations can adapt to novel disease pressures in an altered and increasingly unpredictable climate remains largely unknown. KIRSTEN BOMBLIES, born in Germany and brought up in Colorado, is a molecular biologist and an assistant professor in the Organismic and Evolutionary Biology Department at Harvard University. She has a BA in biochemistry and biology from the University of Pennsylvania and a PhD in genetics from the University of Wisconsin (2004), where she worked with John Doebley. 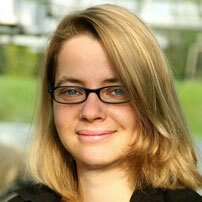 From 2004 to 2009, she was a postdoc in Detlef Weigel's group at the Max Planck Institute for Developmental Biology in Tübingen, Germany, where she "uncovered my current passions" for plant speciation, immune-system evolution, adaptation, and biogeography. 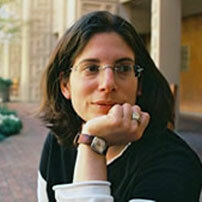 In 2008, she received a MacArthur Fellowship. Asif A. Ghazanfar: "The Emergence of Human Audiovisual Communication" The basic patterns of neocortical anatomy that produce a set of fixed neural rhythms are conserved throughout the mammalian lineage, and they predate the elaboration of vocal repertoires. 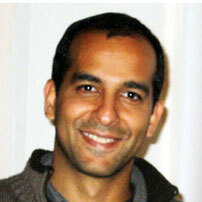 ASIF A. GHAZANFAR is an associate professor in Princeton University's Neuroscience Institute and its Department of Psychology, with a joint appointment in the Department of Ecology and Evolutionary Biology. 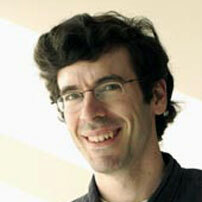 He holds a PhD in neurobiology from Duke University (1999). His laboratory studies the neurobiology and behavior of monkeys as a way of understanding the evolution and function of the human brain and human social behavior. Naomi I. Eisenberger: "Why Rejection Hurts" The experience of social pain, while temporarily distressing and hurtful, is an evolutionary adaptation that promotes social bonding and, ultimately, survival. Joshua Knobe: "Finding the Mind in the Body" People's intuitions about whether a given entity has a mind do not appear to be based entirely on a scientific attempt to explain that entity's behavior. JOSHUA KNOBE, an assistant professor in the Philosophy Department and the Program in Cognitive Science at Yale University, is one of the founding members of the "experimental philosophy" movement. Much of his work proceeds by using the experimental methods associated with cognitive science to address the questions traditionally associated with philosophy. He received his PhD from Princeton University (2006) and has since published numerous papers in both psychology and philosophy. Fiery Cushman: "Should the Law Depend on Luck?" How will advances in the science of moral judgment change the way we think about the law? FIERY CUSHMAN studies moral psychology. His research focuses on the cognitive processes that give rise to moral judgment, their development, and their evolutionary history. Dr. Cushman received a BA in biology from Harvard College in 2003 and a PhD in psychology from Harvard University in 2008. He is currently an assistant professor in the department of Cognitive, Linguistic, and Psychological Sciences at Brown University. Liane Young: "How We Read People's Moral Minds" Recent work suggests that our moral judgment of another person depends on specific brain regions for reasoning about that other person's mental state. LIANE YOUNG received her BA in philosophy (2004) and her PhD in psychology (2008) from Harvard University, after which she did postdoctoral work in MIT's Brain and Cognitive Sciences Department. She is an assistant professor in the Department of Psychology at Boston College, where she studies the cognitive and neural bases of human moral judgment. 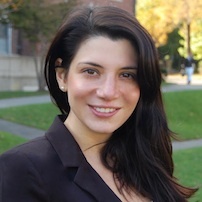 Her current research focuses on the role of reasoning and emotions in moral judgment and behavior— employing the tools and methods of social psychology and cognitive neuroscience, including fMRI (functional magnetic resonance imaging), TMS (transcranial magnetic stimulation), and the study of populations of patients with cognitive and neural deficits. Daniel Haun: "How Odd I Am!" Cross-culturally, the human mind varies more than we generally assume. 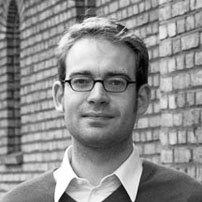 DANIEL HAUN studied experimental psychology in Germany, the United States, and England, completing his PhD in 2007 at the Max Planck Institute for Psycholinguistics. He was a postdoctoral researcher at the Max Planck Institute for Evolutionary Anthropology and subsequently accepted a position as lecturer in developmental psychology at the University of Portsmouth. He is currently directing the Research Group for Comparative Cognitive Anthropology, a joint project of the Max Planck Institutes for Psycholinguistics and Evolutionary Anthropology. Joan Y. Chiao: "Where Does Human Diversity Come From?" Culture-gene coevolutionary theory describes a complementary process by which adaptive mechanisms in the human mind and brain evolved to facilitate social group living through both cultural and genetic selection. 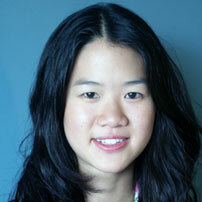 JOAN Y. CHIAO is an assistant professor in the Department of Psychology and the Interdepartmental Neuroscience Program at Northwestern University. She received her BS degree (honors) from Stanford University (2000) and her PhD from Harvard University (2006). Her research centers on investigating how cultural factors infl uence the basic psychological and neural processes underlying social behavior and emotion processing, with an emphasis on integrating psychology and neuroscience research with public policy and population health issues. Max Brockman: "Preface" This opacity [endemic in academic journals] was the impetus for the first essay collection in this series, What’s Next? : Dispatches on the Future of Science. Essays seemed to be an ideal and appropriate way for representatives of this group of scientists to communicate their ideas. The title of the new collection is different, but the organization is the same. Future Science features essays from nineteen young scientists from a variety of fi elds, writing about what they’re working on and what excites them the most. To come up with the list of contributors, I fielded recommendations from top scientists on the rising stars in their various disciplines. 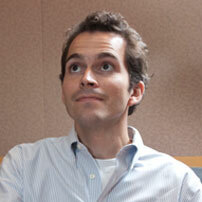 MAX BROCKMAN is Vice President of Brockman, Inc. an international literary agency, and editor of What's Next? Dispatches on the Future of Science and Future Science: Essays from the Cutting Edge. 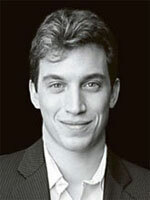 He also works with the Edge Foundation, Inc., a nonprofit organization that publishes edge.org.